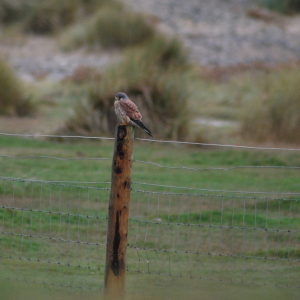 Observation - kestrel (Falco tinnunculus) - UK and Ireland. Description: Male, brownish/pink/reddish back. Grey head and tail. Male, brownish/pink/reddish back. Grey head and tail.